Davidoff Cigars’ most premium offering is returning for a very limited run. 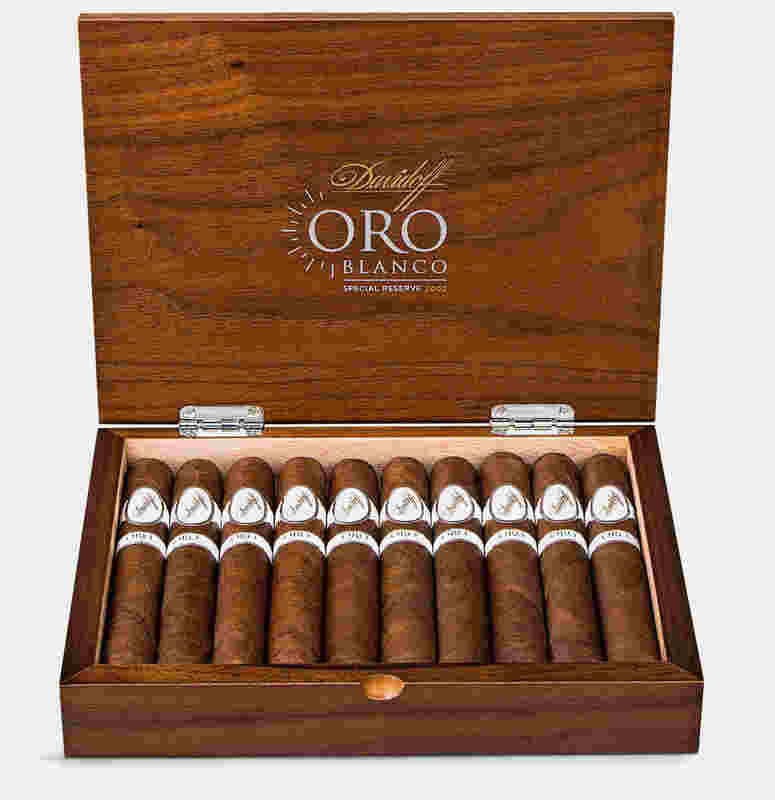 The company has announced it is releasing five batches of the Davidoff Oro Blanco – a cigar that carries a price tag of $500.00 per cigar. A total of 250 cigars are being produced for this limited run. Each batch will consist of five boxes of ten cigars for a total of 50 cigar per batch. The five batches will be made available to five cigar enthusiasts. In other words, five people will get an opportunity to purchase five boxes – and that price tag will be $25,000.00 per batch. “This is the ultimate indulgence for a passionate cigar collector. The question one may ask is when will there be a moment special enough to enjoy an Oro Blanco? As one of the world’s rarest cigars, Oro Blanco Special Reserve 2002 is ideal to celebrate a momentous occasion or to be relished at leisure during a rare or life-changing moment. An Oro Blanco moment is guaranteed to be beautifully and memorably filled with the finest flavors and aromas that Davidoff has ever crafted,” commented Charles Awad, Senior Vice President of Global Marketing & Innovation at Oettinger Davidoff AG in a press release. This is the first release of the Davidoff Oro Blanco since the initial release in 2014. According to the company, the tobaccos come from the Mao region of the Dominican Republic where the Mao, Gurabo, and Yaqui del Norte rivers meet. The tobaccos come from a 2002 harvest where Davidoff Master Blender Eladio Diaz aged the tobaccos for 12 years – plus another 18 months. These tobaccos are only used in the Davidoff Oro Blanco and are not used in any other cigars. The cigar is available in one size – a 6 x 54 Toro.